Few stallions have made a more sensational start to their stud career than Uncle Mo, and Centennial’s newest colt by this stallion is not only bred on a proven cross, but is also from a fabulous foundation family. A champion two-year-old himself, Uncle Mo has already produced one of those in Nyquist, who went on to win the Kentucky Derby. Magic Mojo’s dam, Magical Steps, is a stakes placed daughter of European Champion Giant’s Causeway, a three-time Leading Sire and broodmare sire of already more than 70 stakes winners. 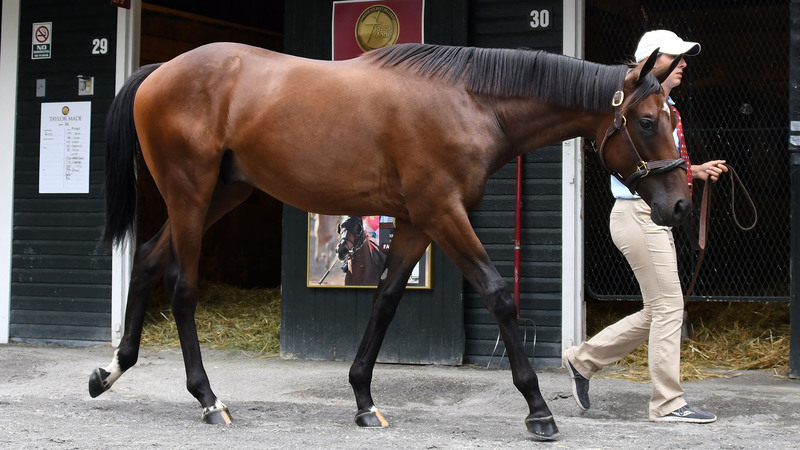 He shipped to Middleburg, Virginia immediately following the sale, where he will undergo training with Paula Parsons. He has been made eligible for the lucrative Virginia-Certified Residency Program. Interests in the 2018 Hampton, LLC are still available. Please contact us any time for details.